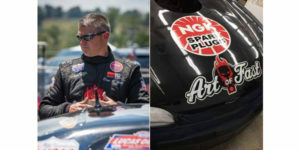 NGK Spark Plugs has extended its sponsorship with NHRA Top Sportsman Driver and U.S. Army Veteran Don O’Neal through the 2019 season, taking the primary entitlement spot on the hood of his 632 Big Block Chevy. In April, O’Neal’s first race of the season will be at the NGK Spark Plugs Four-Wide Nationals at the zMAX Dragway in Charlotte, North Carolina. There, the iconic logo of NGK Spark Plugs will make its debut on O’Neal’s Chevy for the first time.